Janet Smith, and her daughter Arianna, moved to Charlotte, North Carolina in 2010. In 2012, when Arianna was only 10, Janet was diagnosed with stage IV metastatic breast cancer after swelling in her right arm prompted her doctor to recommend a mammogram. Besides undergoing chemotherapy and having a bilateral mastectomy Janet has undergone rounds of radiation for brain tumors and surgery to remove a mass from her stomach. With all that she was going through she found that she also needed knee replacement surgery, which created a whole new set of problems for her. 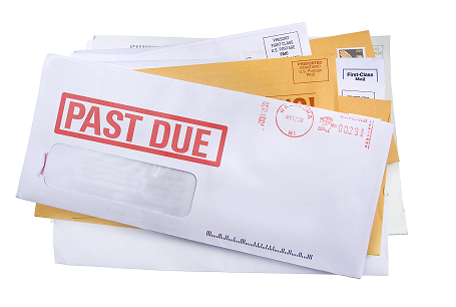 Needless to say, Janet, who is a single mom and living in a state at the opposite end of the country from her family, suffered financial difficulties. Her career as a stockbroker was thriving when the nightmare started. She thought that she could continue working, but her doctor stopped her from working immediately. She didn’t know how she was going to take care of her daughter and how they were going to live. Her income dropped significantly but she still had all of the same bills to pay. Provision Project came into her life at the right time, which she says, “Has been a blessing beyond.” Janet met Jan James, the founder of Provision Project, after completing an application for assistance. Her garage door had stopped working right after she had knee surgery and had just started to walk again. She would have to physically get out of the car after she pulled it out of the garage and hop to the door to shut it and then hop back to the car. Jan sent someone from a garage door company who gave her a new opener free of charge on top of her request for financial assistance. Provision Project also provided Christmas gifts for her and her daughter. Jan delivered them while Janet was undergoing chemotherapy treatment. “I can’t say enough good things about Provision Project,” said Janet. “It has been a blessing as I have met some tremendous people. 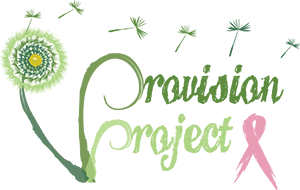 I have been blessed with some very amazing organizations such as Provision Project. I’ve had strangers want to pray for and with me and for that brief moment they are no longer strangers; they are friends.” For now, Janet says she is trying to live each day to its fullest with no regrets. She is currently battling some new tumors and still receiving chemotherapy monthly.